In the wake of the astonishing gains of the German armored spearheads, the infantry had to mop up bypassed strongpoints. 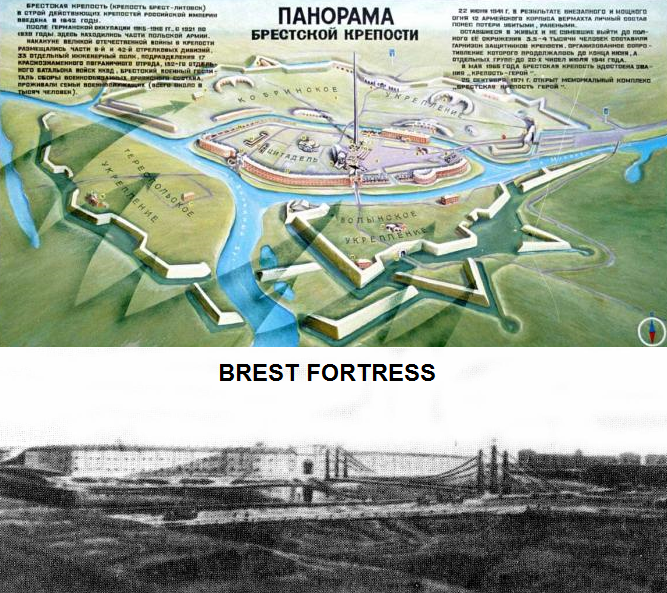 Taking the ancient fortress of Brest-Litovsk fell to the 45th Infantry. Moats, river branches and canals divided the Citadel effectively into four separate islands. The Soviets had to withdrawal from the Central Island but 70 men were cut off and remained in an ancient church. To their rescue came the 1st Battalion of the 133rd Infantry Regiment. . .
2018-05-30 (A) Juan Garrido vs Jorbetbal German win Early German victory probably due to a not very satisfactory setup by the Russians.